Jeanie is a unique computer program for bridge organizers, directors and scorers. Jeanie is the next generation of tournament director tools, augmenting and even replacing existing movement reference books. Jeanie is completely compatible with any scoring program and was used to develop the latest Honors book from Master Point Press on bridge movements; Duplicate Bridge Schedules, History and Mathematics. If you are an owner of Duplicate Bridge Schedules, History and Mathematics, check the Epilogue for your unique discount coupon code for $20.00 off Jeanie-The Bridge Movement Wizard. For more information and installation how-to on the Jeanie program please visit the website Jeanie-The Bridge Movement Wizard. 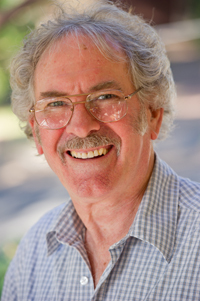 IAN McKINNON is a mathematician, expert bridge player, tournament director, author and computer professional. Through circumstance, around 1970, he started tournament directing at a major bridge club in Sydney which eventually led to him being the senior Tournament Director within the Australian Bridge Federation during the 1970s. He produced his first book, Bridge Directing Complete, in 1979. All those years of experience, and the last ten years of intense research and computer programming, have resulted in this book.